From its elevated perch on Chapel Hill, this beautifully renovated, detached period home has spectacular views of both Timoleague Abbey (A Franciscan..
From its elevated perch on Chapel Hill, this beautifully renovated, detached period home has spectacular views of both Timoleague Abbey (A Franciscan Abbey founded in 1240 AD) and the ocean inlet. Idyllically set on c.3.25 acres of mature gardens and paddock fields, the views from the master bedroom suite and bedroom two are stunning. It is nestled away down a quiet scenic lane, yet still in the historic Timoleague village, and just a short walk away to award winning restaurants - Dillon Restaurant & Monks Lane, along with local pubs. Newly renovated with modern amenities, yet still retaining is original grandeur, this home is ideal for a luxury rental. All furniture and fittings were shipped in from the States and were hand picked by the wife of the owner who is an interior designer. 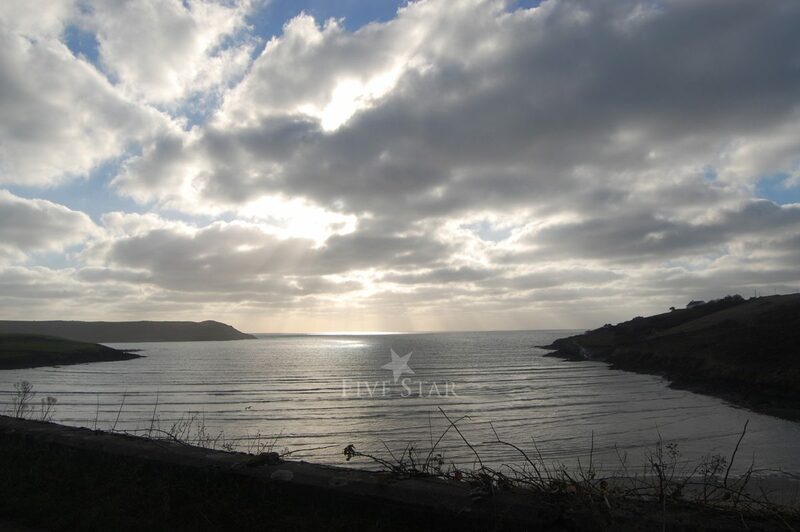 Ideally located midway between Kinsale and Clonakilty, it is a perfect place to explore all that magnificent West Cork has to offer, including golfing, fishing, whale watching, sailing, horse riding, bird watching, wind surfing, kayaking, and shopping. Timoleague is on the Wild Atlantic Way, and only 30 miles from Cork airport and ferry. It is only a 20-minute scenic drive to the world renown Old Head Golf Course. 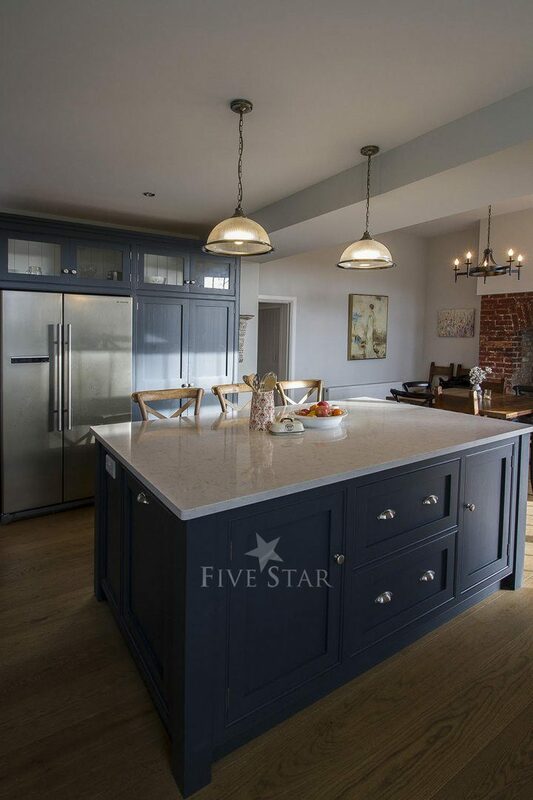 A superb kitchen plan, professionally designed, complete with modern amenities. An elegant dining room and an alluring living room, as well as an additional TV room. 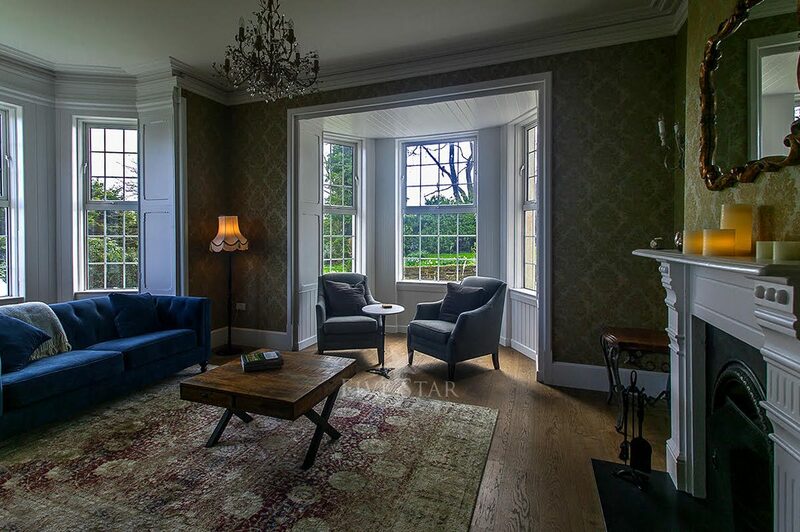 The light filled living areas feature impressive design, intricate ceiling cornices, and new oak floors. There are 4 bedrooms, one with a king size bed, two with queen beds, and one with two single beds. 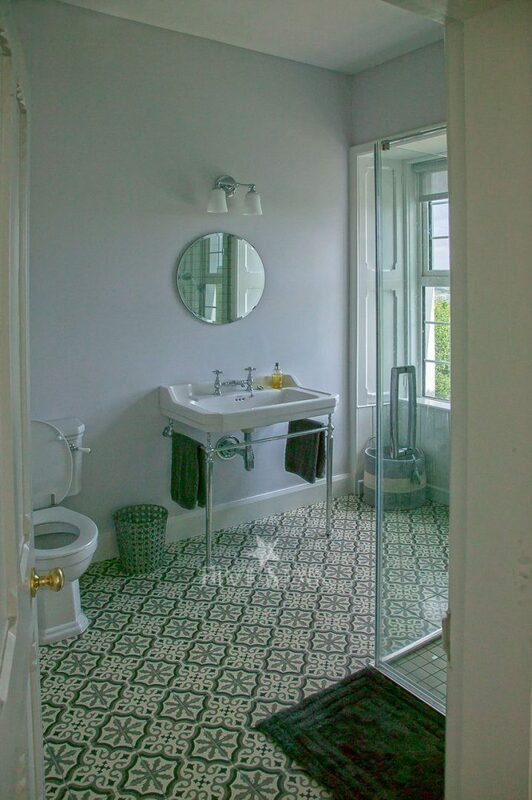 Three newly designed bathrooms (2 full, 1 half). Laundry room complete with washer and dryer. Wi-fi and cable TV available as well. Thank you for sharing your stay experience at West Cork Hideaway. We will publish it as soon as possible. This home was magical to stay in and felt like we were right out of the pages of a magazine with the owners' impeccable design and decor, which was updated but true to the history of the home. It was comfortable for my family and made for an easy getaway with a toddler (the outlets even have off-switches). We felt like we were living like locals thanks to all of the insider tips from the owners (including the best scone we ever had from the village's gas station, with local baked goods delivered fresh daily!). 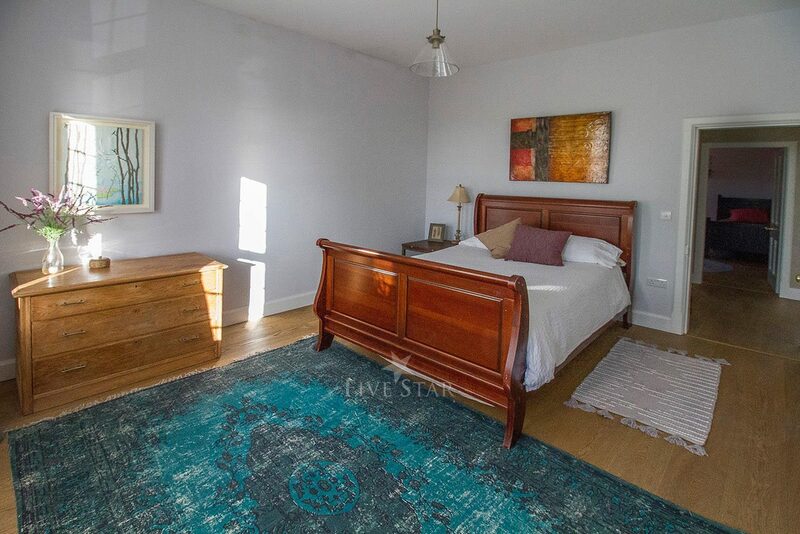 The location couldn't be more perfect, waking up to a view of Timoleague Abbey and the village, as well as a beautiful short walk to the village. We enjoyed the local pub, Monk's Lane, which had food and drinks that more than lived up to our high standards as Brooklynites, as well as live music there. 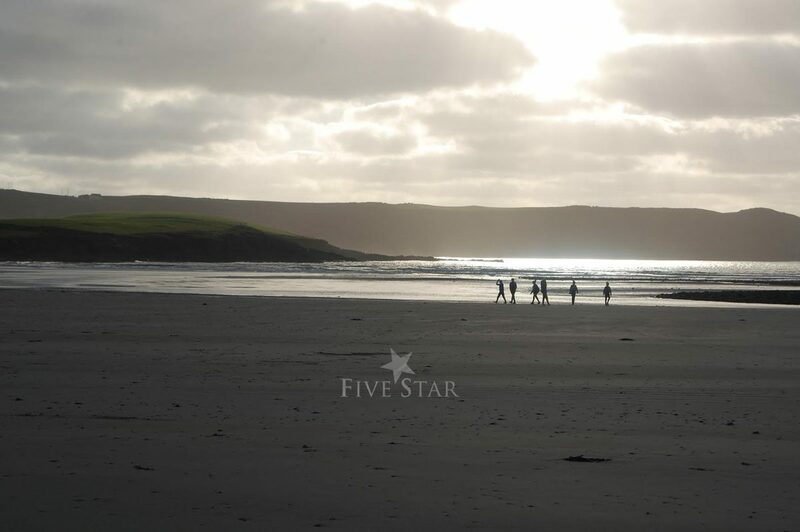 The location was also ideal for short day trips with the family to Clonakilty, Kinsale, the Ring of Kerry, Mizen Head, hiking at Point of The Woods, and a stunning walk to Cortmachsherry, where we enjoyed lunch with a view. We loved it so much that we are already talking about our next trip back! My family and I spent a wonderful week in Timoleague. 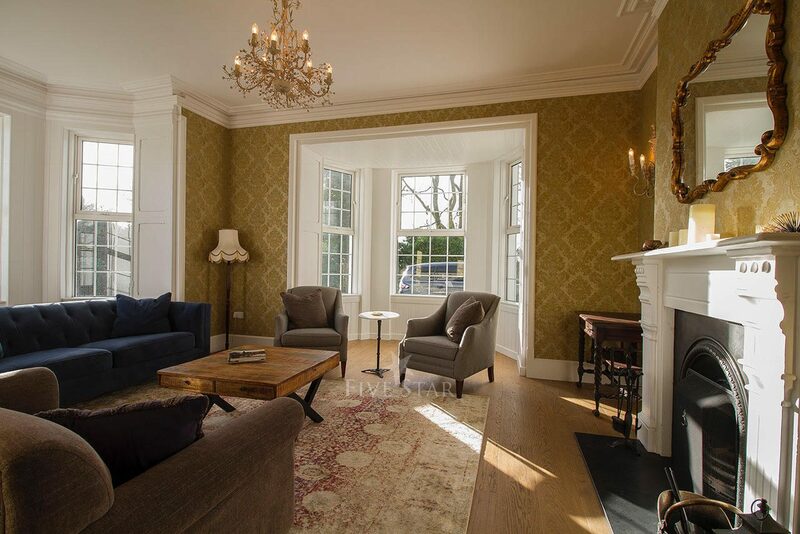 The house is beautiful with tasteful decor and everything you need for self catering. 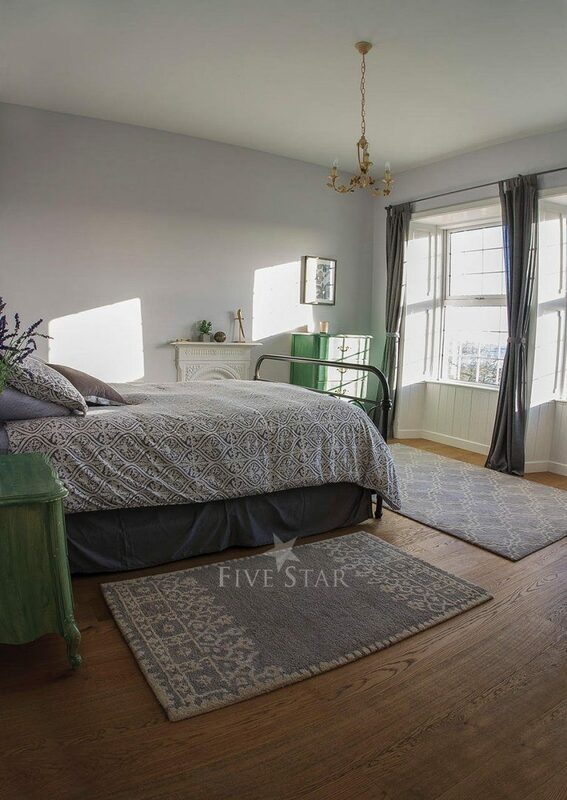 The location is perfect , easy walking distance to the lovely restaurants and local shop and a short driving distance to Clonakilty, Kinsale and the beaches at Inchydoney. We will definitely return. I had the absolute pleasure and fortune of staying at this beautiful home for a few wonderful weeks. 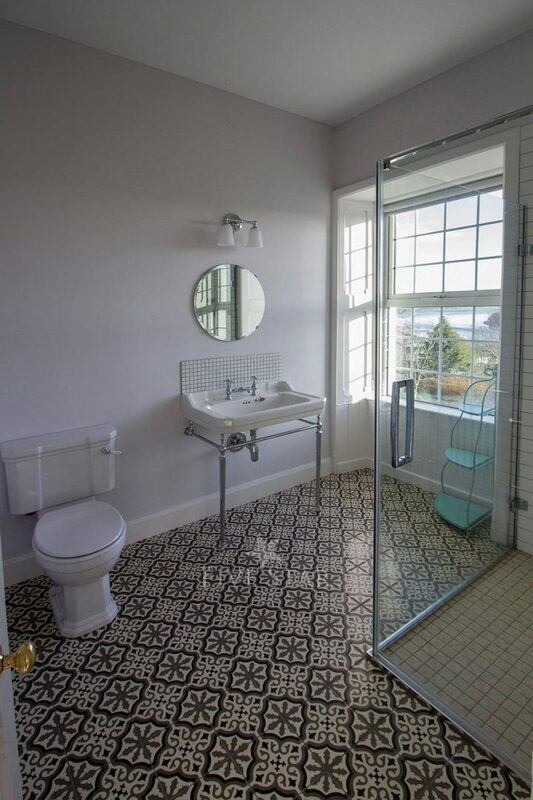 The home is spacious and very elegant with views of Timoleague that will really take your breath away. The kitchen was fabulous and the home had all the amenities one could need. 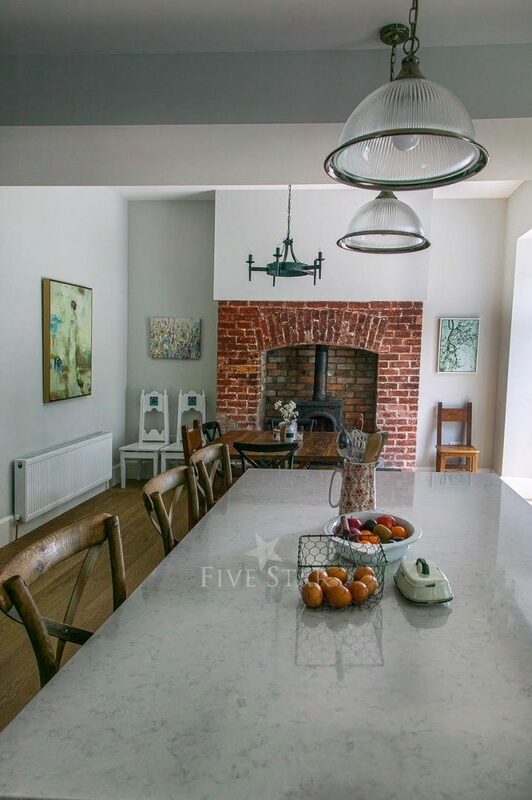 The town in which this lovely home is situated could not be more charming. I spent many an afternoon walking the idyllic streets down to the historic Abbey and some fun nights enjoying delicious food and drink at Monk's Lane. I could not recommend a stay here more! 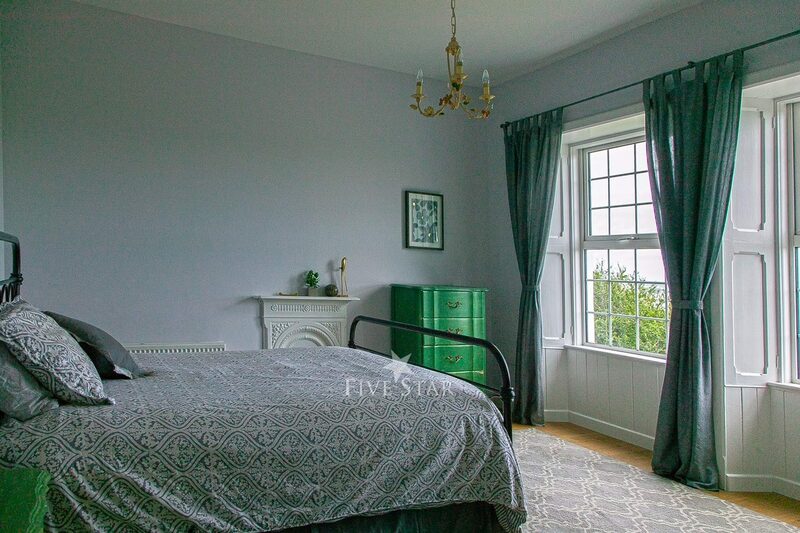 This period home is the whole package! 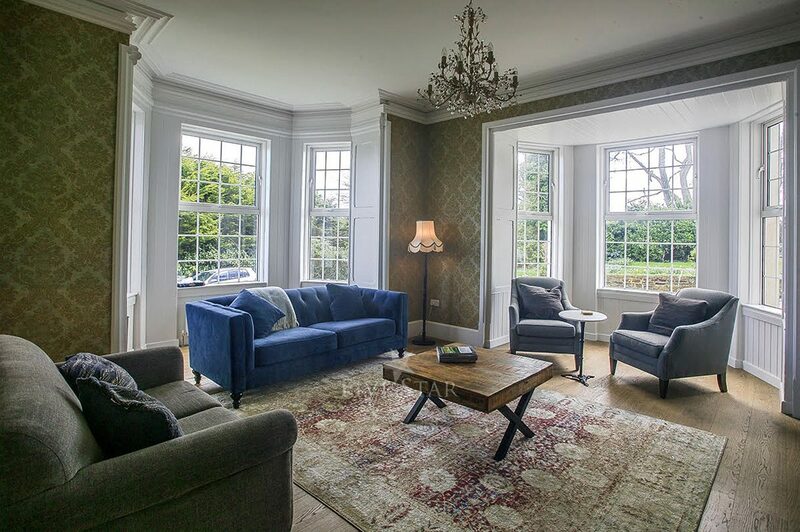 From its breathtaking bay views and beautifully decorated rooms, to its convenient location, overlooking the village and walking distance to some of west corks best culinary experiences, it is the ideal home for a family or group get away. Counting down the days till we can return! Myself and my crew had the pleasure of staying in this beautiful house, while shooting a film in the area. We stayed for two weeks, and living in this house made our experience very special. Coming home at night was the perfect end to our long busy days. 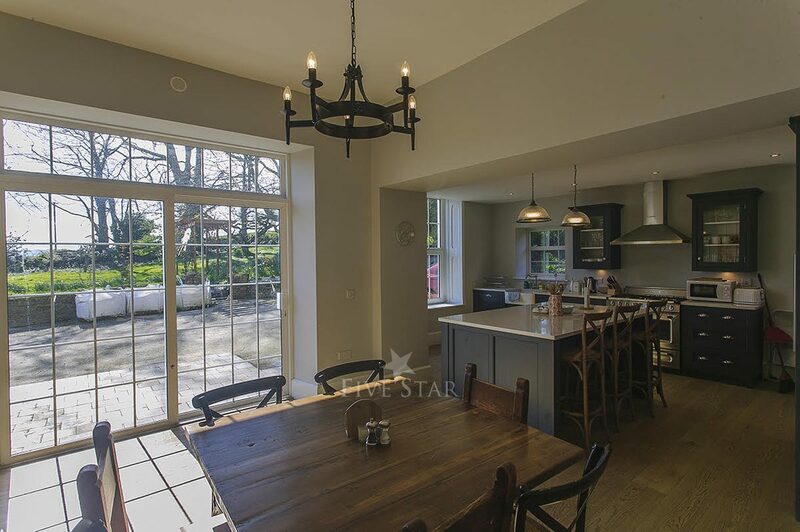 The photos simply do not do justice to this lovely home. It accommodated all of us quite well, and we thoroughly enjoyed having dinners and meetings in the dining room, while congregating in the beautiful kitchen for snacks in the evening. It has stunning 180 degree views, and is located at the end of a long semi private driveway, in a beautiful village. It was quiet and peaceful. This is a perfect home for holidays but also business trips and group trips.